Will Wisconsin really get 13,000 jobs? Two of the biggest corporate-incentive deals in the U.S. are now under intense public scrutiny, said Erica Pandey in Axios.com. This week, New York’s state legislature nominated a vocal Amazon opponent to “a three-person board on which any member has the power to veto Amazon’s plans.” Meanwhile, in Wisconsin, the Taiwanese electronics giant Foxconn, which was offered a $4.5 billion economic development grant to create 13,000 jobs, “has thrown the project into a whirlwind of uncertainty.” Critics have raised a number of objections to both projects, “including the displacement of longtime residents by skyrocketing rents.” But the biggest issue is the size of the tax breaks for the biggest corporations—a planned $3 billion for Amazon in New York. While incentives, such as those for building in economic development zones, “are open to all businesses, 70 percent of the deals and 90 percent of the dollars go to big companies,” who often fail to deliver promised economic benefits. Take Wisconsin’s “disastrous” deal with Foxconn, said Austin Carr in Bloomberg Businessweek. 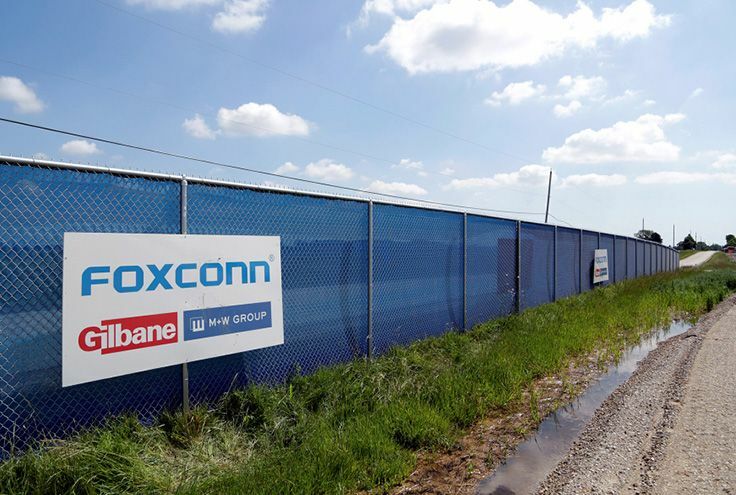 Heavily promoted by President Trump and Wisconsin’s former governor, Scott Walker, the company’s plant is unlikely to ever employ 13,000 workers, as Foxconn promised the state. Last June, Trump visited Foxconn’s new LCD TV factory in Mount Pleasant, Wis., and called it “The Eighth Wonder of the World.” In reality, the LCD parts weren’t made in the U.S. They were shipped from a Foxconn factory in Tijuana, and “some TV displays were still labeled ‘Made in Mexico.’” There were only about 60 people working at the U.S. factory, and they were paid “$14 an hour with no benefits”—far from the $23 an hour Wisconsonites had been led to expect. Shortly after Trump’s visit, 15 of the workers in the plant were told that they should start looking for new jobs, because there wasn’t enough work. One silver lining: Since the deal that Wisconsin negotiated with Foxconn is “projected to cost the state at least $219,000 in tax breaks and other incentives” for every job, it may be lucky that the venture won’t result in 13,000 of them.